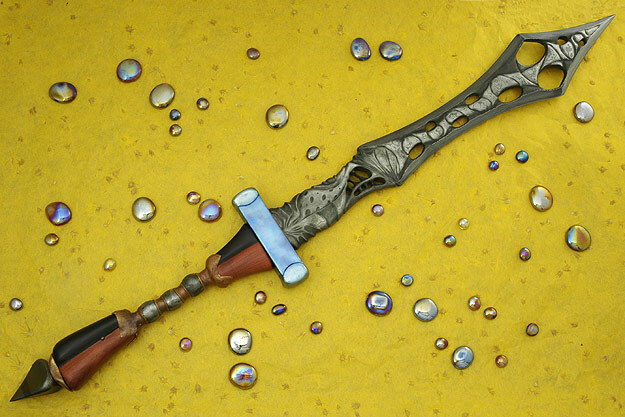 I was wandering around on the net today and I cam across this Broadsword by Mardi Meshejian. To me this is some amazing work, and if I had the kind of money that was being asked I would pick this up in an instant! Last edited by IMan on Fri Jun 03, 2005 4:27 pm, edited 1 time in total. 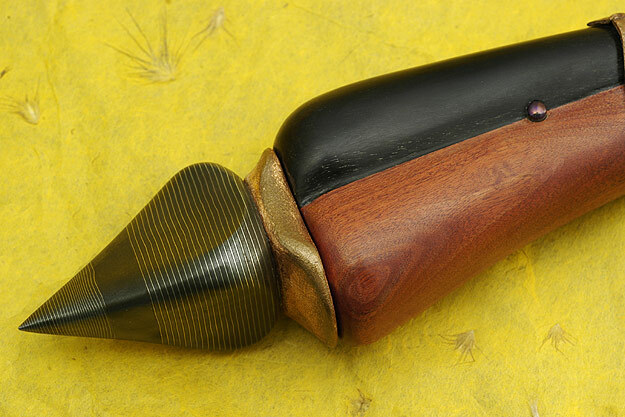 its more in the mold of custom knife pieces that are done for the sake of it rather than trying to make the cosmetic details highlight the functional nature of the sword in question whether its a historical pattern or a modern functional variation. took me 2 mins to figure out which end was which! Its ridiculously ugly. Looks like a prop from a 'B' movie horror pic. Well, I think that it is certainly a unique piece. What I really liked was the variety and detail of the Damascus patterns that are used. I will say that the overall design is a little OTT, but it is a piece that shows the ability of the smith to shape and mould Damascus steel. 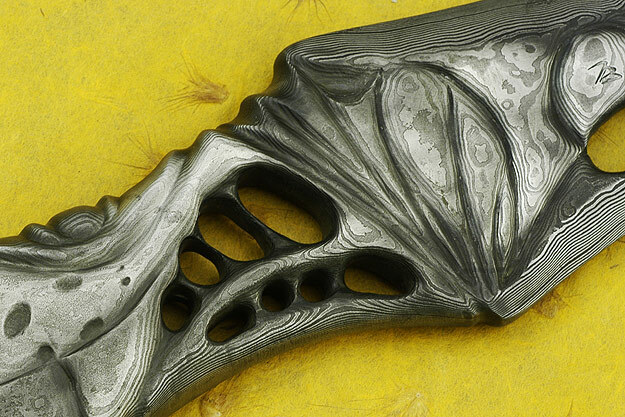 i agree, damascus steel has its own beauty, no need to grind it into shapes like that. normal/folded carbon steel would have looked better for that piece. 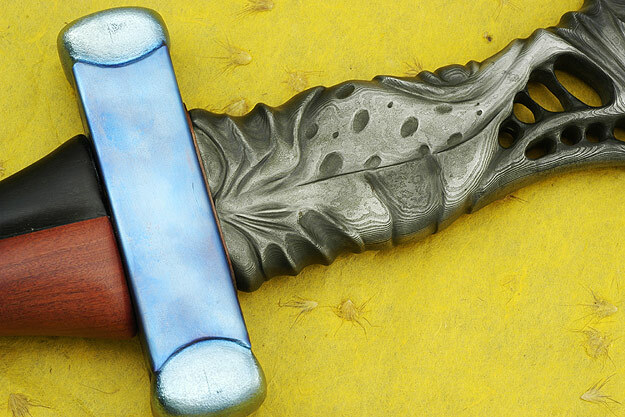 Hmmm, it erm interesting but I'm not even sure I would class it as a blade more of an art piece. Blackbird wrote: Hmmm, it erm interesting but I'm not even sure I would class it as a blade more of an art piece. aye, i agree with her. How much is being charged for that monstrosity?